When you’re working in a job that you’re not keen about – and working for a boss you think is a doofus – there’s nothing glacially slower than the hands of an office clock. Will it never be lunchtime? Will it never be time for a break? Will it never, ever be time to go home? Back in my 20s and 30s, the one thing that sustained me during the interminable days of boredom was the fact I always had something exciting to look forward to after work and on weekends; specifically, rehearsals and performances in community theater productions. Even when I was doing something mindless like filing correspondence, processing travel claims, or organizing the supply room, the best way to “get out of myself” without physically leaving was to mentally review my lines, think about favorite shows I had done, and plan menus for upcoming cast parties. To the casual onlooker, I looked completely content doing the most mundane tasks – the secret being that the contentment derived from thoughts which had nothing to do with work. A critical component of this mindset, of course, was also embracing the view that none of these jobs defined who I was as an individual; they were simply the means to an end of keeping bills paid. Nor did I ever stray from the belief that one day I’d be working for myself and not watching a clock at all. When that wish came true and I became a full-time writer, I discovered something interesting about myself. Although I’m sure I always suspected I’d work harder as a sole proprietor and put in far more time than I ever did as someone else’s employee, maintaining a balance between home and work is a particular challenge when they’re both under the same roof; i.e., the temptation to answer a phone even if it’s “after hours;” the tendency to talk about work ad nauseum at the dining room table; the “just one more email” before bedtime. Although I’m much better at dialing back and keeping to a workday schedule than I was when I started, I’m also the first to admit I usually eat lunch at my desk and forget to take breaks unless my Chief Canine Officer reminds me she wants a walk. We don’t think of stress as an impediment to creativity, yet stress can creep into the psyche if we don’t purposely plan for activities to alleviate it. Yes, that’s right – plan. While it may sound silly to block out increments of time throughout your home office day – and even put reminders on your daily calendar – it’s much too easy to let that down-time routinely slip away. For me, the stress-busting takes the form of two activities that have absolutely nothing to do with writing or consulting. The first is playing my upright grand piano for 20-30 minutes – usually Broadway show tunes that put me in a singing mood. The second is my architectural design software which allows me to dabble in original floor plans, color schemes, furniture layouts, etc. It’s amazing what wallpapering a virtual room, swapping out fireplaces, “planting” trees and flowers (and, of course, imagining the families that might live there) can do to reframe my thinking and make me feel as if I’ve just returned from a mini-vacation. 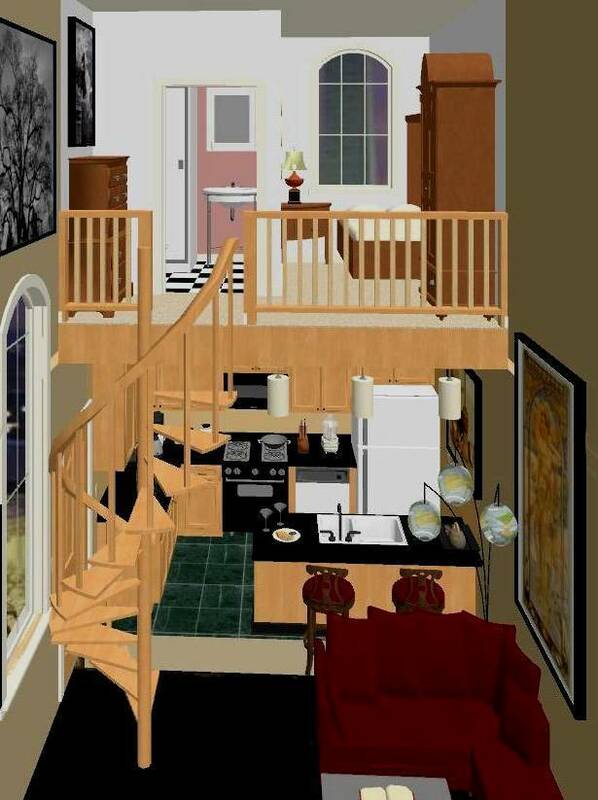 I also make it a point not to put any computer or telephone icons in my virtual houses…just in case anyone figures out how to interrupt me for something that can easily wait until I come back.